Anyone have any tips on weathering a roots style supercharger and chrome injector hat? I'd suggest you do some online research if you haven't already, and find out which material the supercharger case and front and rear covers were made from. That way, you know which metal finish to paint it, and you can apply weathering techniques afterward. Blower housings are almost invariably made of cast aluminum or magnesium. 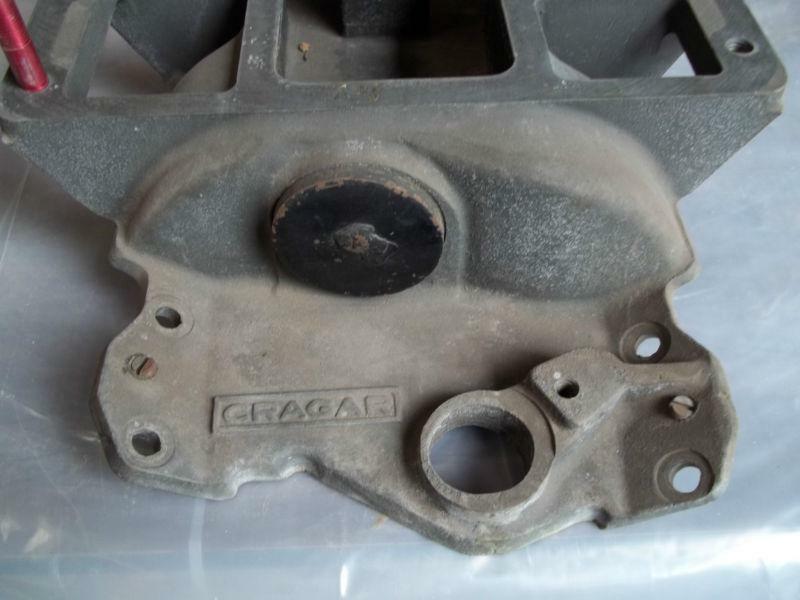 So are vintage injector bodies, though recently you'll see some carbon fiber. 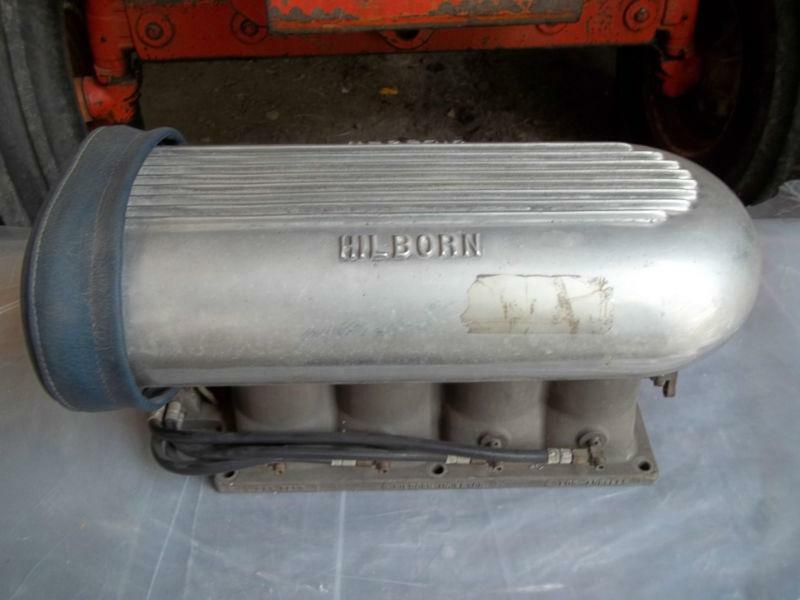 Below, these aluminum Hilborn scoops were often polished, but the cast magnesium injector bodies were often treated with Dow 7 coating, or just painted black. You'd see 'em polished on showcars too.